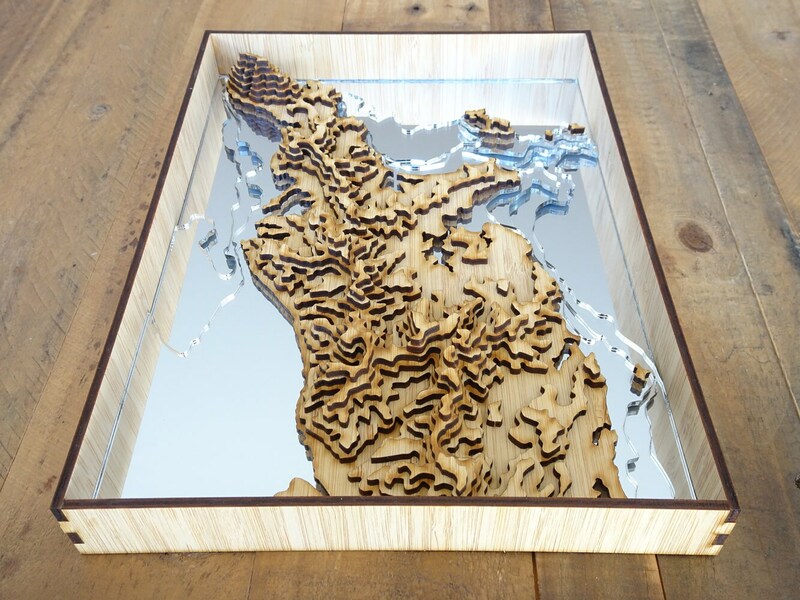 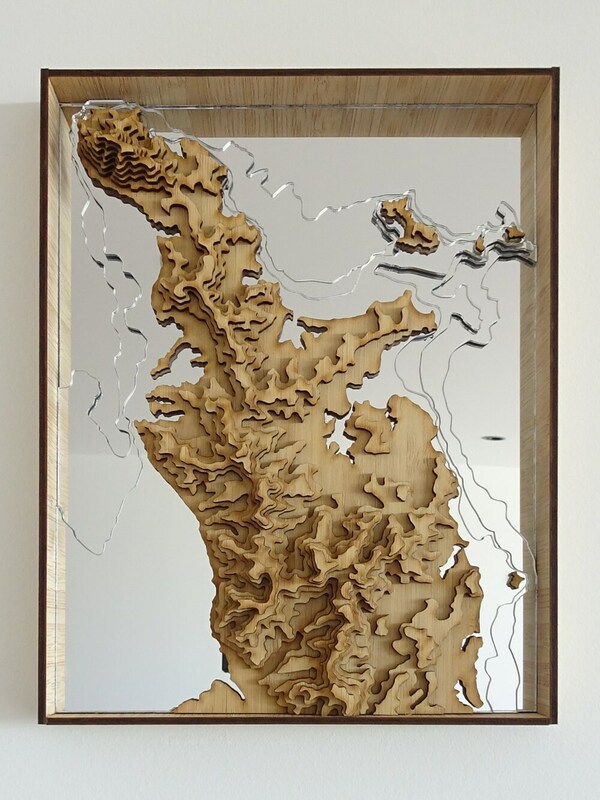 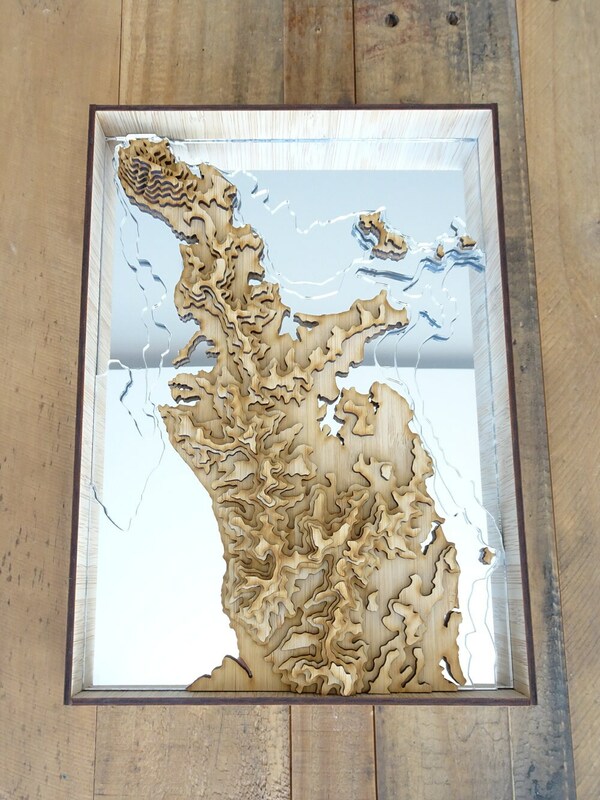 This 3D wall decor shows a map of the Coromandel Peninsula in New Zealand. 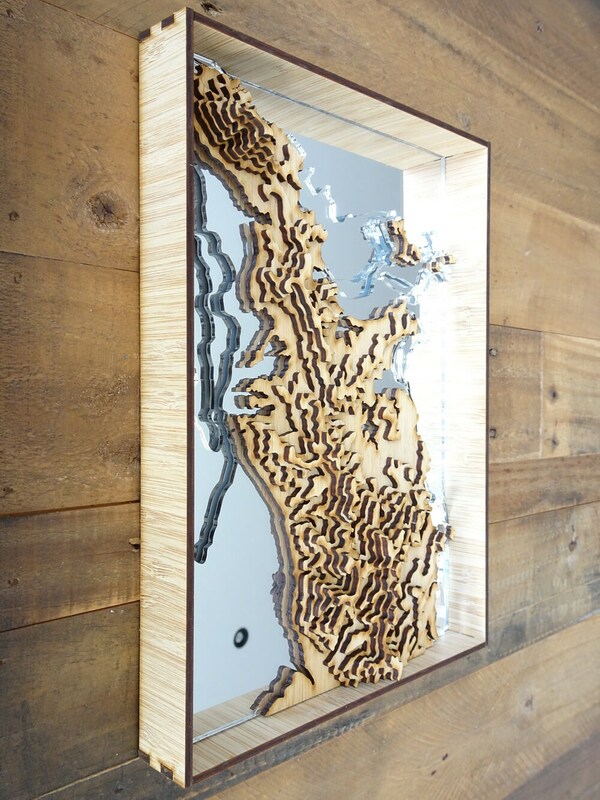 It has been digitally designed, laser cut, and artfully assembled by hand to create this elegant 3D display. 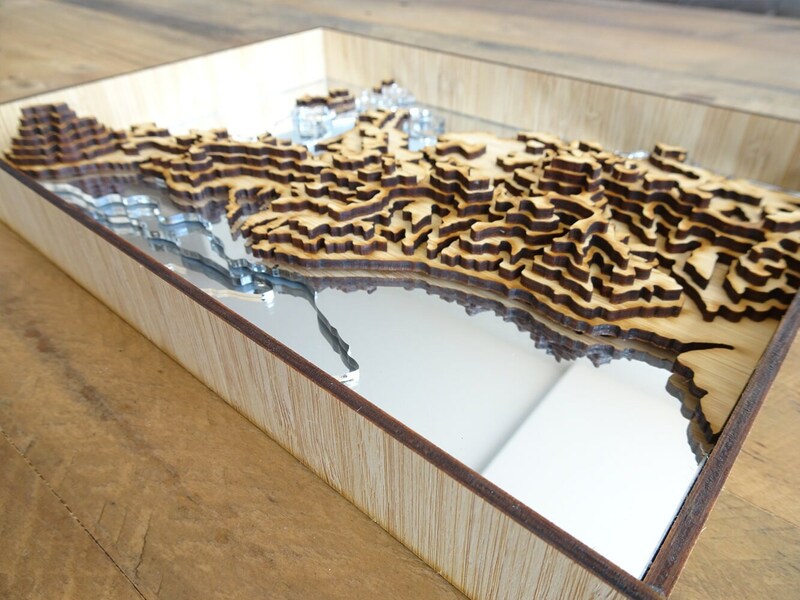 The map consists of 11 layers of sheets from bamboo wood (for the land areas) and mirror (for the sea areas), showing the actual land elevation of the peninsular, as well as the water depths of the surrounding sea.